We are excited to introduce our new blog series: Encouraging Wellness. Raising healthy kids is a full-time job- from understanding development to communication to relationship building and everything in between. In this series, we will talk about healthy practices that parents can incorporate into their daily routines to further encourage overall health and wellness for our children. Eating a well-balanced diet, packed with nutritious fruits and vegetables is crucial to maintaining a healthy lifestyle. So much of our wellness begins with the foods that we eat. A balanced diet helps with brain functioning, boosts the immune system, encourages better concentration, as well as a number of other long-term health benefits. It’s no secret that a healthy diet is important, but convincing children to eat healthy foods is another story. 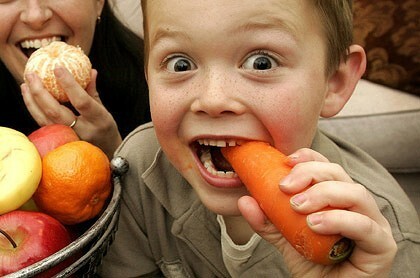 Children are notorious for refusing their veggies and reaching instead for sweet, processed treats. If you are a parent struggling to find ways to encourage your child to eat more vegetables, gardening can be a helpful tool. 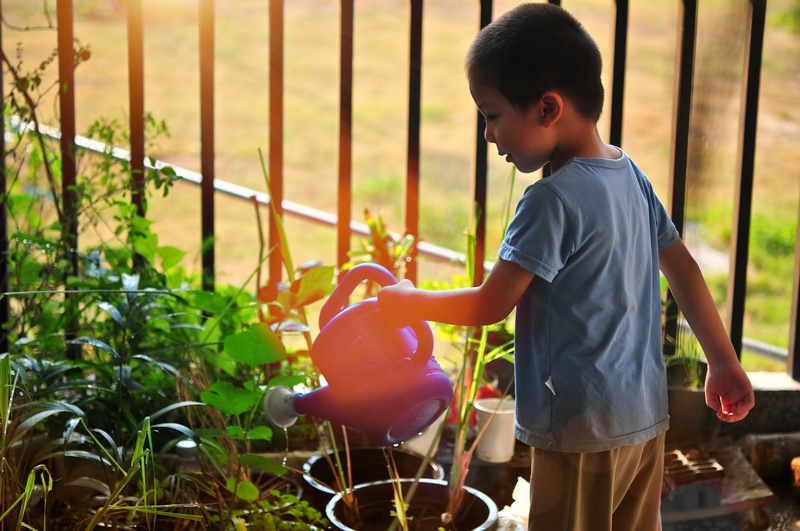 Gardening is a great way to help children become more comfortable with the idea of eating a scary big green stalk of broccoli or a bright red tomato. If a child knows where the vegetable comes from and is involved in the growing process, they are much more likely to want to eat it. Gardening gives you the opportunity to introduce new vegetables into your child’s diet, allowing them to try new foods and train their taste buds to enjoy produce. Starting a garden doesn’t have to be overwhelming. If you are new to gardening, start small. Squash, herbs, and radishes are low maintenance, high producing plants and are great options to begin with. If you don’t have much room, container gardens are a perfect idea! Teach and involve your child from start to finish. Explain that plants grow from a seed and let them help you plant them in the dirt. Every child loves dirt and learning why worms are important is an added bonus! Include some science when teaching that plants need dirt, water, and sunlight in order to grow. Have them take part by watering the plants each day and harvesting their crops when it’s time. This is also a good time to check out gardening books from the library. You could also visit a local farmers market to meet farmers in person and explore more about growing in your area. Gardening is not only good for helping children become more comfortable with the vegetables they are eating, but it also incorporates a wealth of learning opportunities, physical exercise, and sunshine for everyone involved! Don’t forget about all of the extra quality time you’ll spend together and memories that you will make along the way. Now that you know all of these potential benefits that come from starting a garden with your child, you might as well dig in and get your hands dirty!